Radu Sora is the Managing Lawyer of Sora & Asociatii, a reputed law firm from Bucharest, Romania. While he is focused on construction law (FIDIC) and international arbitration, he has a wealth of experience in corporate law, contracts, competition law, media and advertising, transportation law, public acquisitions, debt recovery, insolvency procedure, as well as litigation and domestic arbitration. Apart from heading the Law Firm, Mr. Sora is listed on the practitioners list in arbitration from Vienna International Arbitration Center. In the same time, he has acted also as one is of the Romanian Arbitrators from The Court of International Commercial Arbitration attached to the Chamber of Commerce and Industry of Romania. 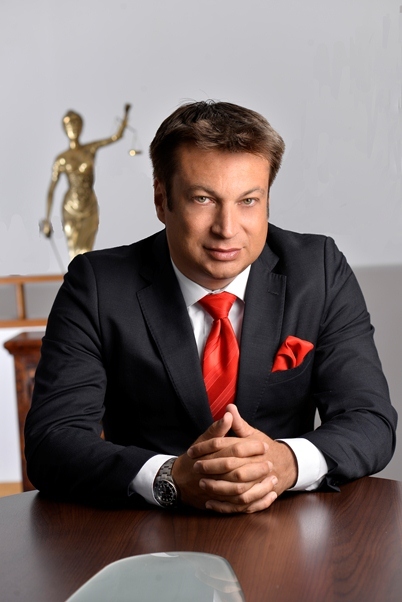 Radu Sora is a member of the Bucharest Bar Association and, in the same time, is also member of the world’s leading organisation of international legal practitioners: International Bar Association (IBA). He is fluent in Romanian, English, French and Italian. Sora & Asociatii - Law Firm is a full-service commercial legal provider with offices in Bucharest, the capital city and the most important industrial and financial center of Romania. On the other hand, Sora & Asociatii Corporate Law Firm has also a strong legal network in all historical regions of Romania, having very good cooperation with lawyers from Timisoara, Cluj, Iasi, Brasov si Constanta. On international view, Sora & Asociatii - Law Firm is member of the legal network International Jurists and in this respect it is always in contact with the network members which now reached a number of 30 Law Firms from 28 countries. Sora & Asociatii - Law Firm has a great experience in many fields due to the various clients domains of activity. As a result, our professionals develop strategies that work because they know and understand the many facets of the Romanian business environment. Besides their commitment to personalized client service and their reputation for delivering innovative and practical solutions, they deliver outstanding value to our clients, build strong relationships, and promote a positive, progressive and creative working environment. Their advantage is that they may provide to the clients the experience of many years of legal practice within some of the largest legal projects from Romania as well as the client care anybody will want to benefit. Choosing them as your legal services provider will be the right decision!